It is with great sadness that the family of Alton Paul Cox announces his passing at the age of 69 on Monday March 25, 2019. Alton will forever be remembered by Jan, his loving wife of 39 years; his three children, Scott (Melissa) Cox of Grantham, Ashley (Justin) Whitley of Wilmington, Adam (Erin) Cox of Grantham; and his five grandchildren, Brennon Cox, Alivia Cox, Waylen Cox, Annsley Cox and Rivers Whitley. Also surviving are Alton’s siblings Paulette Tart, Robbie (Janie) Cox, Fenton (Kathy) Cox. Alton is pre-deceased by parents, Paul S. Cox, and Helen Tyner Cooper. An informal visitation celebrating Alton’s life will be held from 6:00-8:00pm Thursday, March 28, 2019 at Seymour Funeral Home, 1300 Wayne Memorial Drive, Goldsboro, NC 27530. A graveside service will be at 2:00pm on the Cox farm located at 329 Dobbersville Road, Goldsboro, NC 27530. Alton was born on November 19, 1949 in Wayne County, NC. He graduated from Southern Wayne High School and then attended college at N.C. State until returning to the family farming operation. Alton’s farming operation produced a combination of row crop, livestock, and dairy cows. Alton was an avid tractor puller competing in various levels of the sport both locally and nationally starting in 1977. While tractor pulling Alton won championships in multiple weight classes throughout his extensive career. Notably, his most success came during his years in the Super Farm division amassing an impressive six national points championships spanning over 10 year period. As a result of Alton’s years of tractor pulling success, in 2017 he was inducted into the National Tractor Pulling Hall of Fame. 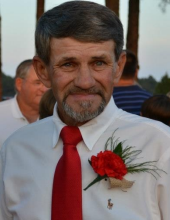 In addition to tractor pulling, Alton was an avid outdoorsman, saltwater angler, late model tractor enthusiast, devoted husband, and loving father/grandfather. As an expression of sympathy, memorial contributions may be sent to the Wayne County 4-H Youth Development located at 3114 Wayne Memorial Drive, Goldsboro NC 27534. Contribution checks should be made payable to the County of Wayne with 4-H Program in the Memo. To send flowers or a remembrance gift to the family of Alton Paul Cox, please visit our Tribute Store. "Email Address" would like to share the life celebration of Alton Paul Cox. Click on the "link" to go to share a favorite memory or leave a condolence message for the family.